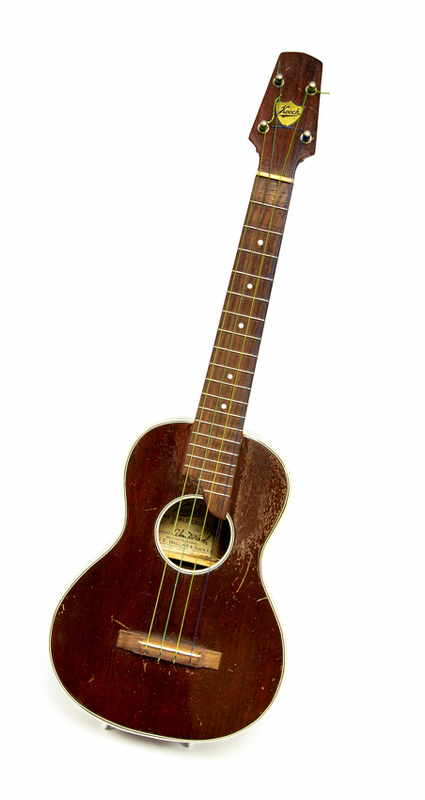 A Keech ukulele with a provenance to the 1961 estate sale of George Formby. It sold at Hansons at £8400. This Keech ukulele comes with a provenance to the 1961 estate sale of George Formby. Subsequent research by a George Formby Society member identified it as the instrument used by Formby in the 1935 film No Limit. It has a split in the back panel, an imperfection noted at the time of the auction in 1961. At Hansons in Etwall, Derbyshire on March 14 it sold at £8400. An oil on board still life with signature Chen sold to an online bidder at £4550 at Franklin Browns in Edinburgh. Catalogued simply as ‘mid 20th Century School’ and estimated at £30-40, this 17 x 22 (44 x 54cm) oil on board still life sold to an online bidder at £4550 at Franklin Browns in Edinburgh on March 16. 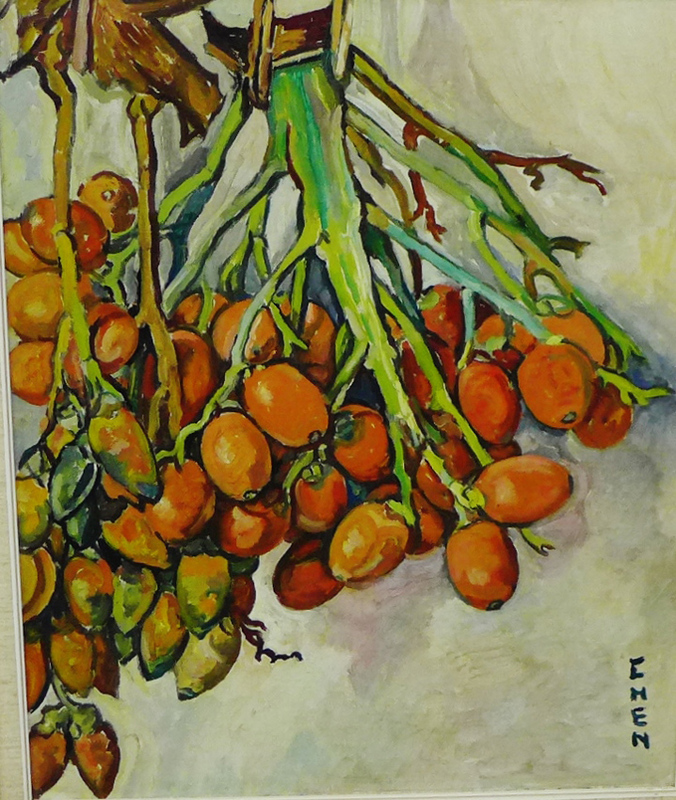 Both the style and the signature Chen are in the manner of the Western-trained Singapore artist Georgette Chen (1907-1992). Born in China, Chen led a privileged life in her early years as the daughter of a travelling businessman and received her formal education in art from institutions in China, New York, and Paris. At the end of the Second World War she took up a teaching position at the Nanyang Academy of Fine Art. A Rolex Oyster Perpetual Submariner ref. 5513 sold to an online bidder for £25,000 at Watches of Knightsbridge. 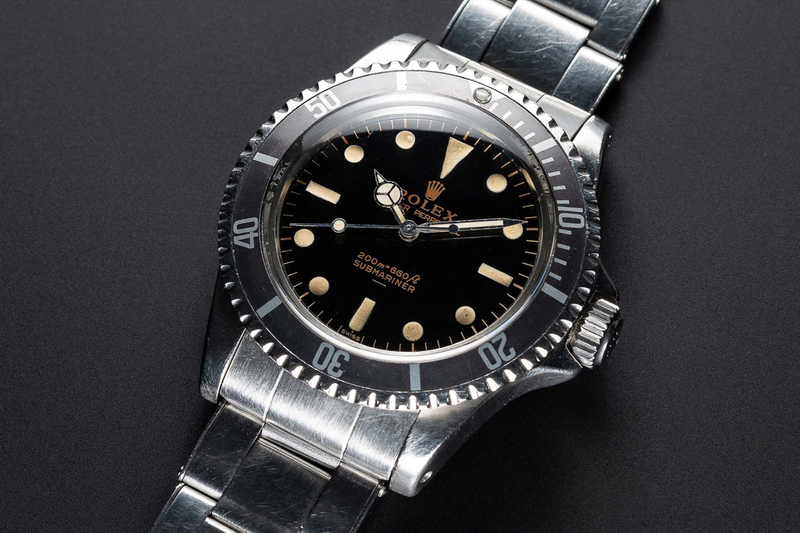 This Rolex Oyster Perpetual Submariner ref. 5513 with gloss black ‘underline’ dial type sold to an online bidder for £25,000 at Watches of Knightsbridge on March 16. The 5513 was introduced in 1962 and was in production till 1989 but this was a relatively early example c.1964 and in excellent original condition. A 1970 World Cup winners medal sold at Midlands Sports Auction of West Bromwich at £30,000. The online sale conducted by Midlands Sports Auction of West Bromwich that closed on March 17 included this original 1970 World Cup winners medal. The iconic final, won 4-1 by Brazil against Italy at the Estadio Azteca in Mexico City is deemed one of the finest of all time. 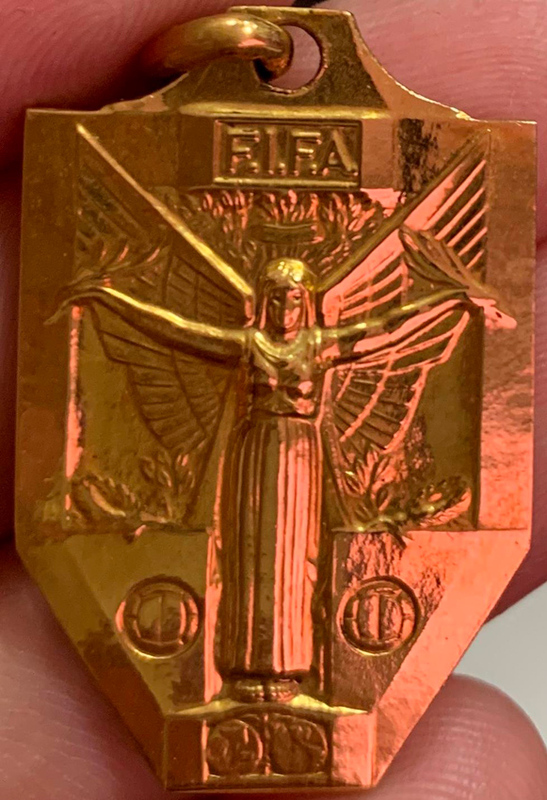 This gold medal, that did not come with provenance to a particular player but had “good certification” sold as expected to an online bidder for £30,000. A 7in (18cm) high Meiji period cloisonné enamel vase sold at Hartley’s in Ilkley, West Yorkshire to an online bidder at £6000. 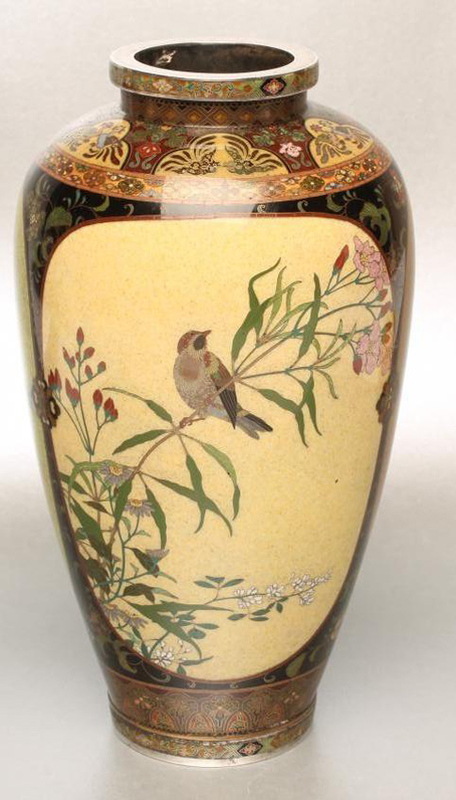 Although unmarked, this 7in (18cm) high Meiji period cloisonné enamel vase is in the manner of the great cloisonné workshop of Namikawa Yasayuki. At Hartley’s in Ilkley, West Yorkshire on March 20 it sold to an online bidder at £6000. Scholars have often discussed the paradox that whilst many cloisonne objects of moderate quality were signed, much of the finest work was left unsigned. In the specific example of Namikawa Yasuyuki the artist himself is quoted: "If my work will not declare itself to be mine, then the marking will do no good". 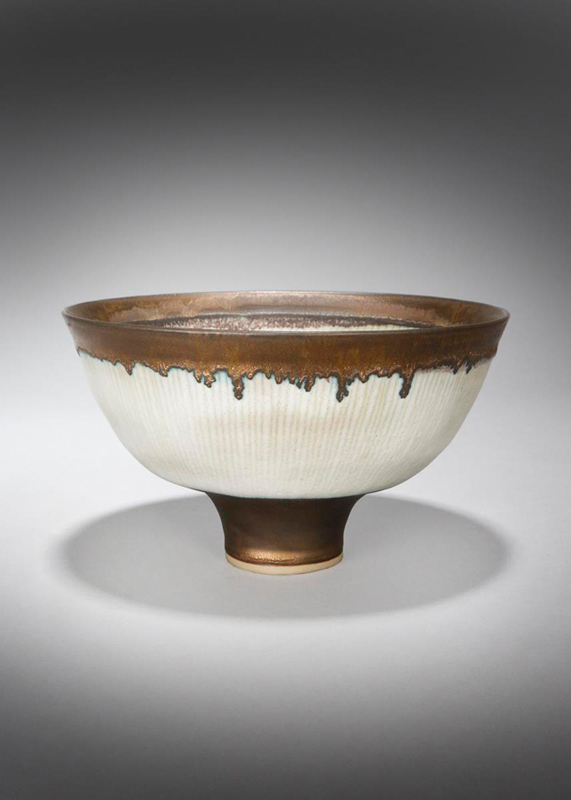 This Lucie Rie flaring conical stoneware bowl, 8in (20cm) diameter, sold to an online bidder for £24,000 at Woolley & Wallis in Salisbury on March 20. The finely potted bowl on a slender foot is inlaid with green lines and glazed with golden manganese to the rim and the foot. It was last sold at Christie’s in 1994.